Archery Open, to be held April 6. 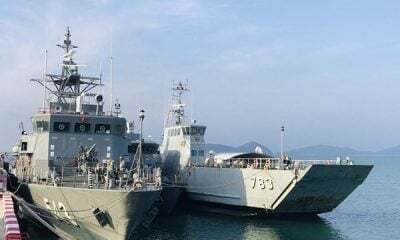 The organizer of the competition, Montree Thammakij, outlined the event saying: “We have 11 types of competition and 57 trophies, along with medals and certificates, which will be handed out by Phuket Governor Maitri Inthusut. “The object of this project is to improve [archers] skills through actual experience,” he said. The competition will have three categories; Recurve Bow, Compound Bow and Traditional Bow, over distances of 10, 18 and 30 meters. Each category will be split into three age groups: under-12 years, under-18 years and 18 and over. There will also be a team competition. President of Phuket Archery Club, Bandit Santikul, noted that the club has some very skilled members in its ranks. Narin Tantangtrong [boy’s junior], won 3rd place using a Recurve Bow at an archery competition in the capital in September of 2012. A Phuket Archery Club team finished 4th (Compound Bow men’s general) at the 41st National Games held in Chiang Mai in December 2012, which was the first time archery was included in that competition. Pann Tantangtrong won 2nd place (boy’s under-12 years old) using a Recurve Bow at the recent Kasetsart Archery Competition, in January 2013. The registration deadline for the Phuket Archery Open is March 31. The competition will be held at the Blue Elephant restaurant in Phuket Town on April 6. 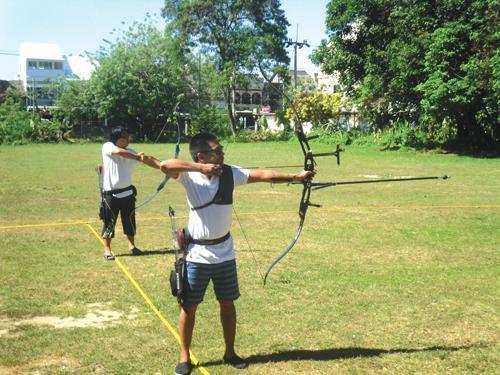 The Phuket Archery Club will together with the Phuket Municipality Summer Camp to offer a special course for students and youngsters from March 25 to April 25. For information on the Phuket Archery Open click here or call 081 979 5680.